I spotted a lone can of chickpeas in my cupboard yesterday and decided to put it out of its misery and make it into some hummus. I've never made hummus at home before, and often purchase store-bought varieties, some which don't impress me at all. My problem was that I didn't have any tahini on hand. I did have sesame oil, so I decided to sub with it. So here's the recipe for some easy, yummy hummus. 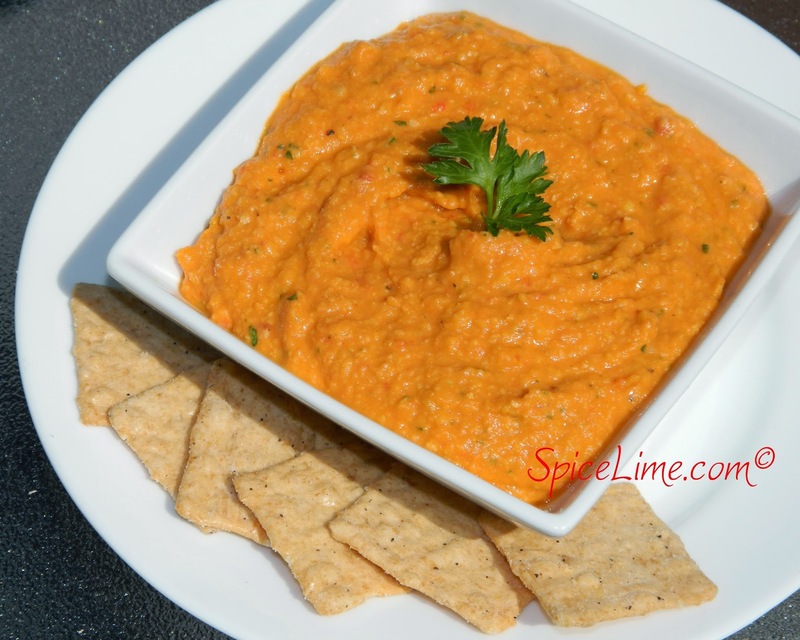 In a blender, combine chickpeas and roasted red peppers and blend until minced. Add remaining ingredients and 1 tablespoon of the reserved liquid. Blend until mixed and smooth. Serve with your favorite chips or toasted pita bread. Ideas for garnishes – shredded Parmesan cheese, a few whole chickpeas, and fresh parsley.